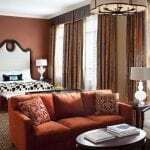 Warm, welcoming, and with timeless warmth and playful accents — the Kimpton Hotel Monaco Denver is fun, funky, and luxurious. 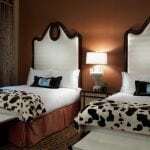 The 189 guest rooms and suites boast deep, rustic colors that emanate style and warmth. 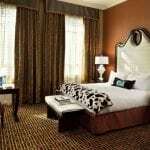 With all the amenities you could want in a boutique hotel — including a 24-hour fitness center, spa, and fabulous Italian dining options — you’ll have to remind yourself there’s plenty else to see and do in Denver.